Born in 1935, HRH The Duke of Kent is the son of the late Prince George, fourth son of King George V, and the late Princess Marina, daughter of Prince Nicholas of Greece. He is cousin to both The Queen and The Duke of Edinburgh. The present Duke of Kent inherited his title following the death of his father in 1942. In 1961 The Duke of Kent became engaged to Miss Katharine Worsley and they married in York Minster. 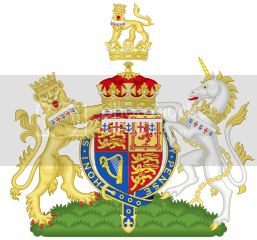 The couple have three children: George, Earl of St Andrews, born in June 1962; Lady Helen Taylor, born in April 1964 and Lord Nicholas Windsor, born on 25 July 1970. The Duke and The Duchess of Kent undertake a large number of official Royal engagements. Each has close associations with many charities, professional bodies and other organisations. The Duke of Kent meets a member of the English Rugby team at a reception held for them at Buckingham Palace by The Queen. Dec. 8, 2003. The SM carries a report that the Duke and Duchess are set to divorce after 43 years of marriage. Then, a long while after that, she converted to Catholicism (after having been married and a member in the Church of England for over 30 years) and began to be a traveling "nun" of sorts ~ making long pilgramages to France, Africa, and other countries, practically dressed in rags, seeking some sort of "individual spirit self satisfaction" I think she felt that "others" and "other countries" needed her in some way ~ at least, by her understanding of their plight. She reminds me of one of my sisters who just "floats and floats" from one day to another, not really knowing what day it is" ~ because their "spiritual side" needs a lot more attention than her family, children (who are all grown up), and grandchildren. It&#39;s my opinion that "hormones" cause a lot of this for some women. I&#39;ll be so bold as to say that their "ilk" have probably told others that she " .. received a message from God .. OR .. God came and sat on her bed one night, revealing the secret of life .. " ( and, I&#39;m not being "sacrilegious" here by saying this ~ it&#39;s just a matter of fact ), and " .. to go out and evangilize and bring help to those who are disadvantaged .. ". ~ sort of like what DIANA, THE PRINCESS OF WALES was doing ~ bringing and exposing areas which need a great deal of help, as in Ethiopia, etc. ~ but, if "this" is the basic core of the "divorce", it&#39;s very unfortunate. It&#39;s really too bad and very sad for the Duke of Kent if this is true. I think he&#39;s an exceptional man, along with his brother, Prince Michael. From where I sit, over here in America, (and after reading several books), the Duke of Kent has bent over backwards to satisfy her when she had ME, notwithstanding giving her a "very long leash" for anything she wanted to do ~ which has obviously happened. I just can&#39;t see that man mistreating her in any way. If she said, "Jump&#33;" to him, he&#39;d probably pull out the trampoline. It is true. The Duke and Duchess of Kent have been living seperate lives for years now. The Duchess has willing given up her HRH title because she felt "it has no bearing or place in modern society." It has been well known that the Duke has been trying to ask the Queen to allow them to divorce since the 70&#39;s, but Her Majesty was dead against such a thing. Also the Duchess is a devout Catholic doesn&#39;t believe in divorce. The Queen is very close to the Duchess as well and doesn&#39;t want to see her officially gone from the royal circle (although she has done few royal duties in years). I wouldn&#39;t be surprised if they did divorce, but I wouldn&#39;t surprised if they didn&#39;t either. My heart goes out to the Duke and Duchess on the breakdown of their marraige as they both appear to be very decent people. Unlike some people on this page I can&#39;t profess to have been privy to their very private affairs. I do think however that the Duke himself would take exception to the vicious attacks which have been aimed at the woman who is the mother of this children and grandmother of his grandchildren. The beakdown does not seem to have been acrimonious but one where the two parties drifted too vastly apart whilst still retaining great respect for one another. "There by the Grace of God go us all&#33;" a sentiment which I am sure Her Majesty herself would agree with as she has not had her own sorrows to seek given her own husbands disgraceful behaviour with Lady Romsey to this day. According to the biography of the Duchess by Mary Riddell, it sounds as if she was unsure about the marriage from the start but was pushed into it by her mother, who was ambitious for her, and by the opposition of Princess Marina, which made the Duke more determined than ever. It sounds like one of those desperately sad cases of two fundamentally incompatible people trying for years to make the best of an impossible situation. Does she do any public engagements any more? No. The Duchess is retired (offcially or unofficially???) from public life. She only attends certain events where the entire royal family is present like the service for the 50th anniversary of the coronation of Queen Elizabeth II. The Duke of Kent visited an exhibition to commemorate soldiers that disappeared in World War I, Thieval, France, September 27, 2004. What has happened to the Duchess of late. She used to be so pretty and dress so nicely. Now she looks as though she doesn't care???????? The Duchess has suffered periodically from extended bouts of ill health particularly sinced with her miscarriage in 1977. Rumours of marital probelms didn't help. She has also has concerns over her son's Nicholas' well-being in recent years. It was with the Queen's permission she ceased performing public duties and generally does not use the HRH style. She does however attend some family cleebrations such as the funeral of Princess Alice. She takes great comfort from her catholicism. I think she looks relatively good for a 71 year old grandmother. The duchess has suffered from chronic fatigue syndrome. does the duchess's conversion to catholism affect the duke's status in the line of succession, theorectically? No. The relevant law (Act of Settlement) states that anyone MARRYING a Roman Catholic is excluded from the line of succession to the Throne. It does not exclude someone whose spouse BECOMES a Roman Catholic after the marriage. 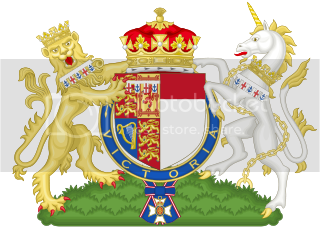 So that Prince Michael of Kent forfeited his right of succession when he married the Roman Catholic Baroness Marie Christine von Riebnitz, but the Duke of Kent retains his rights because the Duchess converted after they were married. I feel so sorry for the Duchess. I hope that maybe she can recover from whatever depression she may be suffering. From what I have heard she was highly commended for the royal duties she used to carryout. It worries me greatly the way she seems to have retreated from public duties, which is one of the main functions of a member of the British Royal Family. Does anyone have thoughts on the state of the Kents' marriage? From what I have heard it is rather broken down, but the Queen doesn't think it would be a good idea for them to divorce. Are they separated? She's denied several times that she suffers from depression. She may have been depressed in the 70s, but she says she's not depressed now. The Kents still live together in the same residence, so they aren't separated. They may not be deliriously happy together, but how many couples are? The Queen didn't want them to divorce in the early 80s, but there's no evidence that they've talked about divorce since then -- regardless of what the tabloids print. i read in the newspaper that the Duchess teaches music at some school. ppl at that shool didn't even know her real identity for a long time.